For more than a decade, we have had a discussion forum at http://www.goodsol.net/forum where people can ask questions about our games, ask if a game is winnable, and so on. The main problem, though, is that it requires you to create a forum account with a name and password, and this is a long process and stops a lot of people from joining. Unfortunately, that process is necessary because of the large number of spammers and bots that try to poston the forum. Now we have two new places people can discuss our games - on the popular networks Facebook and Google+. 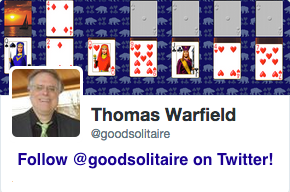 Our new Goodsol Solitaire Facebook group is at https://www.facebook.com/groups/goodsol.solitaire . Anyone with a Facebook account can just join the group and post questions or answers. This is in addition to our Facebook page at http://www.facebook.com/goodsol . 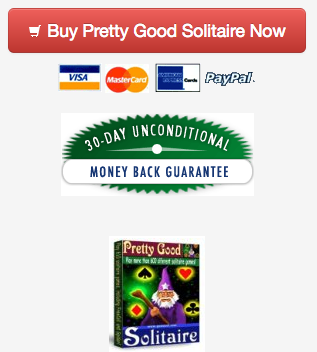 Our new Google+ Goodsol Solitaire Community is at https://plus.google.com/communities/116506125824238806895 , available to anyone with a Google+ account. We have links to all 3 of these groups at http://www.goodsol.com/forum - join the group or community to ask questions or share winnable games. Recently our Top Scores site at http://scores.goodsol.com moved to a new server. The old server has been retired after 12 years of service (that's like 84 in web server years). If you haven't ever submitted your statistics, you can go into a game, click on the Statistics button, and click on the submit button to submit your statistics. You can also view the statistics for all games at http://scores.goodsol.com . Our game Action Solitaire has moved to the goodsol.com site. See Action Solitaire's new site at http://www.goodsol.com/action . Action Solitaire is solitaire played in timed rounds for points - learn how to play and download at http://www.goodsol.com/action . This game is at Sir Tommy.